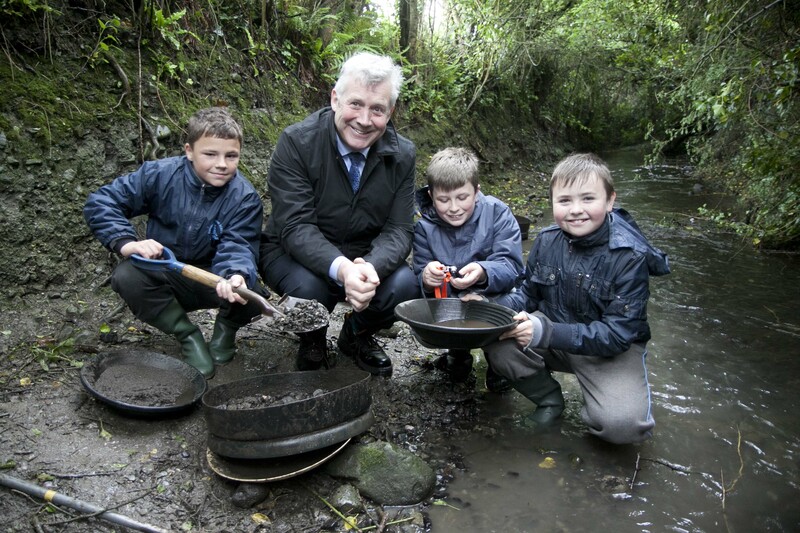 Pupils from St Mary’s Boys National School Drogheda (Malik Luzha, Jayson Gill and Lorcan Downey), assisted Minister for Natural Resources Fergus O’Dowd in collecting the final sediment sample of the Tellus Border survey at Ardee, Co. Louth on 15th June 2012. The Tellus Border geochemical survey is now complete. Since August 2011, approximately 24,500 samples of soil, water, stream sediment and vegetation were collected across the entire region from Donegal to Louth. Following the laboratory analysis of the samples, results will be freely available in late 2013.